What about the stream fisherman – the man or child who wants to take a mess of cats in a little creek or stream? Some anglers completely overlook this smaller water as a catfish haven. 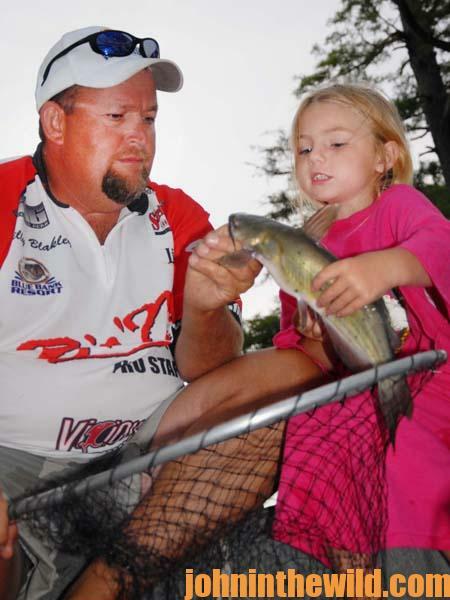 Although many times you will not catch catfish over 2 pounds in these little waters, you still can capture plenty of no-scales large enough to fry. Some of the finest catfishing in America today may be in small, out-of-the-way streams, creeks and rivers that you can make four big hops and jump across. 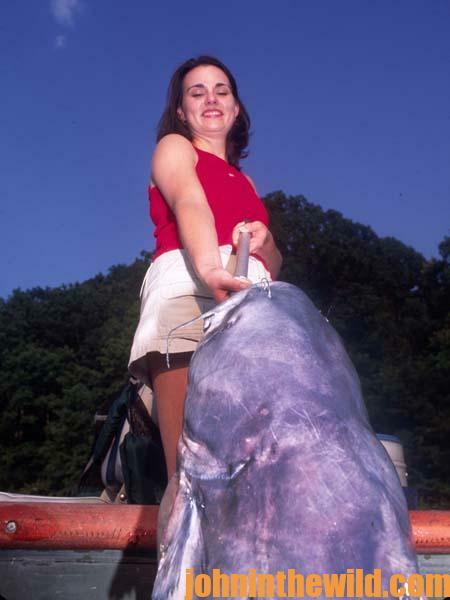 These bodies of water get very little fishing pressure and often home good populations of catfish. In many areas the best access to these waterways is either to hike into them or to canoe down them. But just because you are on the water doesn’t necessarily mean you can catch the cats. 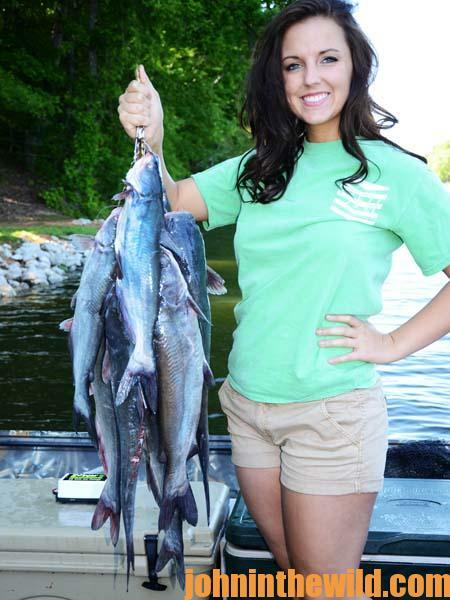 Here are some clues that may help you pinpoint holding areas for small-stream catfish. 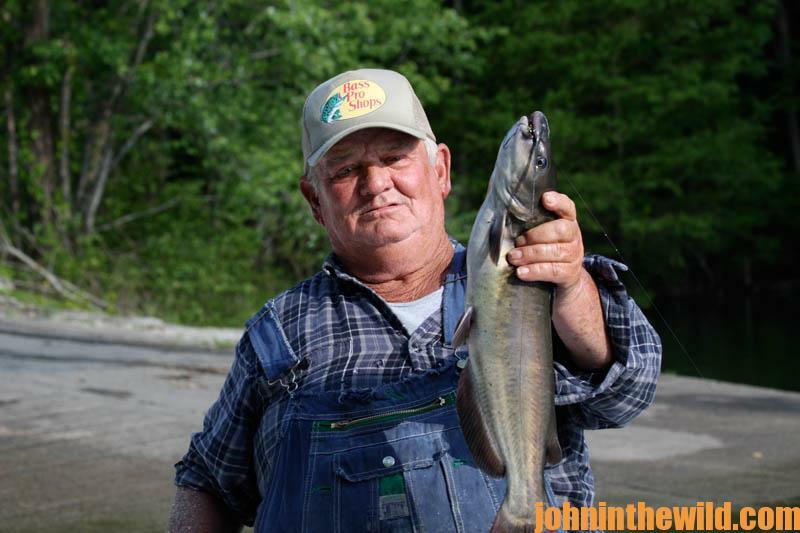 Catfish tend to like slack water and deep holes. Oftentimes these types of water and bottom will occur behind boulders or logs that break the current just below waterfalls or at the foot of shoals where the water becomes deeper. Also, as water bubbles and crashes over rocks in small streams, the water picks up oxygen and creates a current where catfish like to feed. 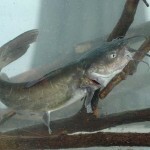 Catfish usually hole-up behind points or bends in the creek or stay bunched-up in deep holes you aren’t able to see. If you’re floating an unfamiliar stream and don’t know where the deep holes are located in the bottom of the stream, then use a portable depth finder. 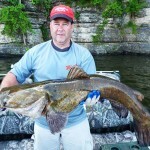 A problem an angler may encounter when using a depth finder and fishing from a canoe for catfish is the rounded sides and bottom of the canoe will keep the suction-cup transducer head of the depth finder from sending a signal straight to the bottom of the stream. Instead the signal shoots off at an angle. Tie a 2 x 4 to the side of your canoe, after taping the transducer to the piece of wood with electrician’s tape. Using this rig means your transducer will shoot the beam straight down under the canoe. 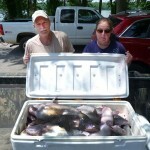 You will get an accurate picture of the bottom and any fish that may be on it. 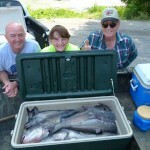 Generally I don’t utilize the depth finder to search for catfish but rather for bottom breaks. If I locate the drop-offs in the bottom, the catfish will be there. A few years ago, my children and I fished a small stream running along our primitive camping area. Although we had caught the usual small bream and bass that will take anything from bread crumbs to potato chips, we had not caught any eating-size fish. Later by fishing with ultralight tackle and fat night crawlers, casting the bait into the stream and allowing it to wash around the edge of a rock that was breaking the current, the children and I took enough catfish for supper. 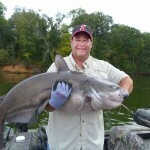 Catfish, like many other species, like to hold on the edge of the current just out of the fast water. And anglers who fish behind boulders and rocks for small stream cats may locate honey holes for Mr. Whiskers. To get “13 Freshwater Fish Recipes You Can’t Live Without,” “Catfish Like a Pro” and “The Best Wild Game & Seafood Cookbook Ever: 350 Southern Recipes for Deer, Turkey, Fish, Seafood, Small Game and Birds,” click here. You can also get “The Catfish Catcher’s Cookbook” for free here.